A leading real estate network is considering extending residential leases to provide landlords and tenants with more long-term security. The agency is calling for extended residential leases, similar to those offered in commercial leasing situations. Currently the traditional residential lease term is six-12 months, whereas commercial leases are three-, five- or 10-year agreements. Long-term leases allow tenants in the commercial space to put their roots down and go about their business. Residential tenants could be offered the option. Other features of commercial leases that would be considered would be set rent reviews and lease extension options. The agency is of the opinion that these longer leases would be beneficial to both tenants and landlords, providing more stability to both, especially in the current rental market where owners are struggling to find tenants due to the oversupply. Rental Trends has offered this option to investors over the years as they have been happy to pay a lease renewal fee based on the length of lease. 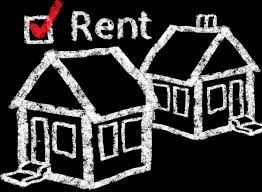 Rental Trends believes that its all about speaking with the investor and offer to match their needs to the tenant’s. A long-term investor will be better served with a long-term tenant. After a 12-month period, when everyone is happy, it’s worth having a conversation about a longer-term lease with set rental increases for how much and when it will be applied. At the end of the day, it’s all about Owners, Tenants and Rental Trends working in harmony.